Hundreds of storms bombard the british isles every year – and with each there is a growing realisation that mortar is a costly and unreliable means of securing ridges, hips and verges. An increasing number of homeowners are turning to dry fix roofing because of the advantages it offers in terms of security, cost and installation. We offer a range of solutions in a variety of colours to help you escape the mess and complication of mortar based roofing techniques. Kings Contractors provide a wide range of dry ridge roofing solutions. 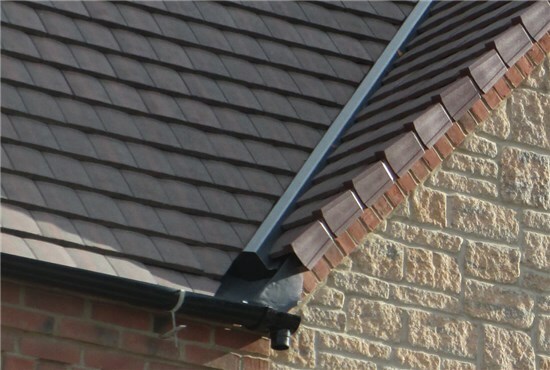 Dry Ridge has been designed to give the appearance of a traditional bedded ridge, but with all the benefits that a modern dry ridge system provides, such as secure mechanical fixing and appropriate ventilation. The Dry Ridge system incorporates ventilation strips to support the ridges and provides high level ventilation. Ridge unions provide an efficient seal between each ridge and give the appearance of a 10mm mortar joint. To complete the system and to enhance aesthetics, profile fillers are supplied for profiled tile types. The fillers click into the ventilation strips and both are marked to ensure correct orientation. The dry ridge, fitted properly, will withstand our changeable weather and as they are fixed to the roof are unlikely to blow off. They also allow the natural movement of the building unlike the 'wet' mortar which cracks and crumbles and does not allow the natural movement of the building. Dry ridge also allows a little ventilation to prevent condensation. Dry ridge also has a lining which allows the rain to disperse to the roof. The overhang or verge of a roof is commonly protected by a wet verge made of mortar. However, exposure to the weather deteriorates the mortar, which causes it to crack and crumble leading to water leakage and roof damage. The mortar doesn't keep pests, small animals and birds from invading the roof space which may cause damage. The old wet verge requires regular maintenance with repairs, which can be costly. A more durable and hassle free alternative is the use of dry verge caps made of tough plastic. These fit over the edge of your tiles, and offer long lasting protection to your roof. They are more popular and give a finished look to the roof. Dry verge keeps small animals and birds out, which protects the roof. Dry verge allows for natural movement of the building and for ventilation to prevent condensation. Dry verge comes in a choice of colours.